There are zillions of brands in the world – some that are known to many, many that are known to few – and still many more that never get to be known. When an organisation is formed, that’s when the journey of moving from anonymity to being in the limelight begins. A strategic and aligned branding exercise is what acts as an enabler in this journey. The size of the company does not always determine the stature of the brand – a well-executed branding exercise can build a brand out of nowhere – one that has a unique character, has its own voice and connects emotionally with its stakeholders. Few years back, I embarked on a journey to build a B2B brand from scratch, in a space that’s niche and often misinterpreted. As I started looking past the numerous challenges and roadblocks, there emerged immense opportunities – all leading to the final goal of building a winning brand. Opportunities of course did not just emerge out of nowhere – there were enough trials and errors and there were lessons that came out of it. The key is to always think beyond the obvious, and to consistently innovate. Here are broadly the steps that one can undertake as they begin their brand-building exercise. Who are you? Critical to know – your identity, your story, what makes you different – these are important to be answered right in the beginning. Create your brand bible – one that you and all stakeholders have constant access to. And make sure you keep reminding everyone to use it! In the brand building journey, it only harms if everyone is telling a different story! Who’s your buyer? Next is to understand the industry nuances well, and of course the customer pulse. Spend enough time with the delivery functions, attend as many meetings – learn the language, the business, and everything that makes it. Word of caution – as you build this ecosystem understanding, the journey might start to look tougher. But don’t let the clutter deter you – just observe and absorb and then remove the noise. Time to set-up your GOAL! With the understanding that you would have built about your company and the ecosystem, it’s time to set up some realistic goals. What do you want to achieve in six months’ time and after a year – it’s important to be clear on this and get a sign-off from the stakeholders to avoid any expectation mismatch. Plan it up! Now with the goal clarity, it time to build the plan. Get an understanding of the rough budgets you would have to move in this journey and accordingly get your priorities in place – it’s simple, you cannot do it all at once. Look at what needs to be addressed first and plan your investments accordingly. Also align it with your short-term and long-term goals. When building a brand, it’s best to start with a 6-months working plan, instead of a year-long plan. The initial phase will bring in enough hitches and learning – that you will then be able to apply for your long-term plans. Start rolling! Find the start point and just start rolling. This is going to be tough – with so much to be done, this start point is not easy to find. But logically, start with the hygiene stuff and then build it up one by one. When starting from scratch, get in place your logo, your identity book, mission/vision statements, value structure, brand guidelines, website, employee communication engine etc. All these requirements will vary based on what your organisation’s ultimate goals and of course the level of preparedness. Don’t forget to measure! This is tough – but it will help you in the journey. Whatever baby steps you start with, define success metrics (qualitative/ quantitative) for those and measure the performance. Measurement is not just about linking it up with sales and revenue contribution – depending upon the landscape, that may not happen in the first year at all or even in two years. Think beyond those and stay persistent. While these steps above are logical, there are multiple obstacles that come in the way that take you away from your defined route. Branding is an important exercise and that needs to be understood and accepted by key stakeholders. It is not a support function that works on the sidelines doing its own thing – never works that way. It is not just important, but mandatory to involve leadership in the brand building exercise – their time, attention and inputs are critical. Here are few things that will help in your course. Don’t negotiate on the hygiene, ever. There are certain things that are important to have, whether they result in an immediate benefit or not – brand guideline, messaging document, corporate profile, mission-vision statements etc. Establish their importance and get them in place. No questions asked. Treat content with respect. There is enough for everyone to read on the internet. If you are putting up more stuff, make sure it’s worth getting eyeballs. Pay due attention to brand look and imagery. And start aligning your brand-building exercise with your brand imagery right from the beginning. While it’s important to pay attention to what you are saying, the packaging and how you are being seen is equally important (if not more). Find alternate routes. Not having enough budget does not mean you cannot achieve what you have set out for. Search engine is your friend – Google enough to find ways and means of doing more with less. There are freewares for every possible thing – just look for it and you won’t be disappointed. Think out of the box and innovate – there are many ways to do the same thing – see what works best for you. Build your team steadily. It’s important to find people who understand the vision and demonstrate the same passion. You need steady partners in this journey and not frequent movers. With all above, be okay to fail. It’s fine. Brand building is like nurturing a baby – like every child, every brand is different. Their personality evolves as they grow – their character starts building up. You need to be constantly involved in each phase. It’s also a lot of fun and brings in immense gratification when you observe your brand establishing its presence in the industry and becoming a name that people recognise and resonate with. Finally, believe what you do! 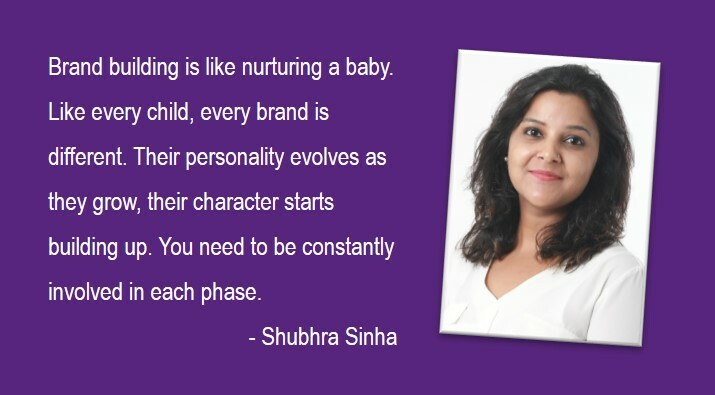 Having started her professional journey with the PR world, Shubhra has gained a wealth of experience over the past years and currently leads the Marketing Communication function at Denave. 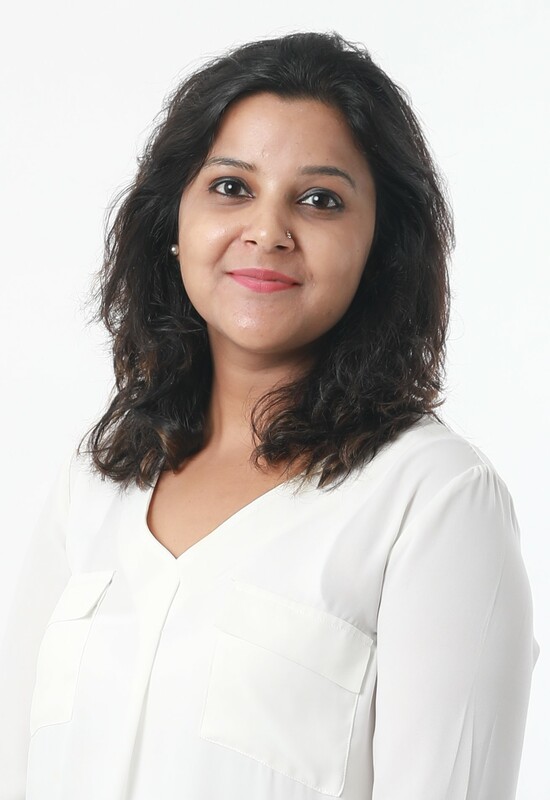 She has worked with MNCs as well as global firms and led communication mandates for various corporates in the technology and consumer domain – both B2B and B2C. Be the first to comment on "Looking to build a winning brand?"